Across the world, varying track gauges hinder the rapid, comfortable and smooth transition of rail vehicles from one system to another. This affects rolling stock in both freight and passenger traffic. The need for vehicles able to operate on different track gauges has prompted the development of various solutions, such as transhipping goods, passengers changing coaches, exchanging wheelsets (or indeed whole bogies) for new ones able to operate on the other track gauge, or equipping vehicles and local infrastructure with automatic gauge changeover systems. The most effective solution is a gauge changeover system whereby the vehicles can change gauge automatically during travel. On such systems, the vehicles' wheelsets adjust to the new gauge as they pass through the device, as a result of which the transition from one system to another is faster, safer, and more comfortable. Such systems incur operating and maintenance costs, however. Various automatic gauge changeover systems have been developed over the years. Some of these have never gone beyond the testing phase, whereas others have proven themselves to be safe and reliable in service. To date, no single document provides a summarised description of all the automatic gauge changeover systems currently known to exist. This report provides a summary description of all the automatic gauge changeover systems currently known to exist and details of their key technical features and functions. Details are also given of the current status of development of individual systems and experience of their testing and operation, as well as information on maintenance of the system as a whole. The report describes systems from Europe and Japan for the gauges 1435/1520/1668/1000/1067 mm. 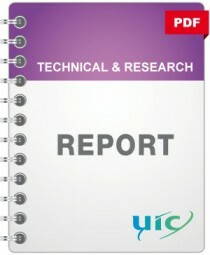 This report is the output of Sub-Task 1 (of 5 Sub-Tasks in total) as part of the "Automatic Gauge Changeover Systems" project.